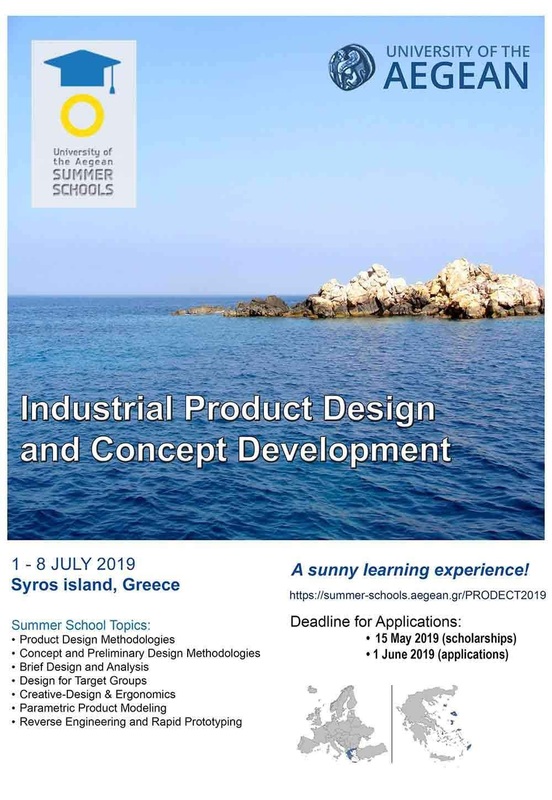 PRODECT'19 Summer School is structured in lectures, where basic methodologies are analyzed, and workshops (product development studios), where the trainees will be familiarized with brainstorming techniques and modern computer-based design methods and technologies. A product-design project will run from the first day of the school encouraging the participants to develop a new product that will meet modern needs. Familirize yourself with state-of-the-art Product Design Methodologies. Specialize with Concept and Preliminary Design Methodologies. Work in a team to develop a novel product design. Learn how to design and analyse the Brief of a Design Project. Learn how to analyse the Target Group of a Design Project. Get acquainted with Creative-Design Computational Tools and Product Visualization Techniques. Be introduced to Parametric Product Modeling, Reverse Engineering and Rapid Prototyping Techniques. The program is designed for undergraduate or graduate students and professionals that wish to specialize or update their knowledge in the area of product design. All sessions will be carried out in English. 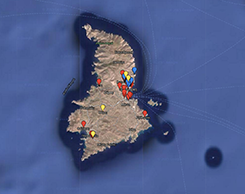 The course will take place at the premises of Department of Product and Systems Design Engineering located at Ermoupolis, the capital of Syros island. All participants that will succesfully fulfill course requirements will receive a "certification of attendance". Students will also receive 2 ECTS. 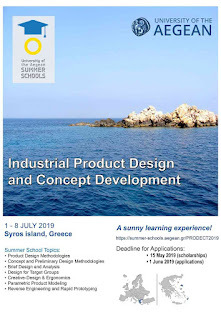 The PRODECT'19 Summer School starts at 1/7/2019 and will last until 8/7/2019. Each participant must complete the online registration form in order to attend the school. Payment Deadline: 5/6/2019 (discounted fees) and 19/6/2019 (regular fees). For more information about fees and application process please visit the Registration Page.